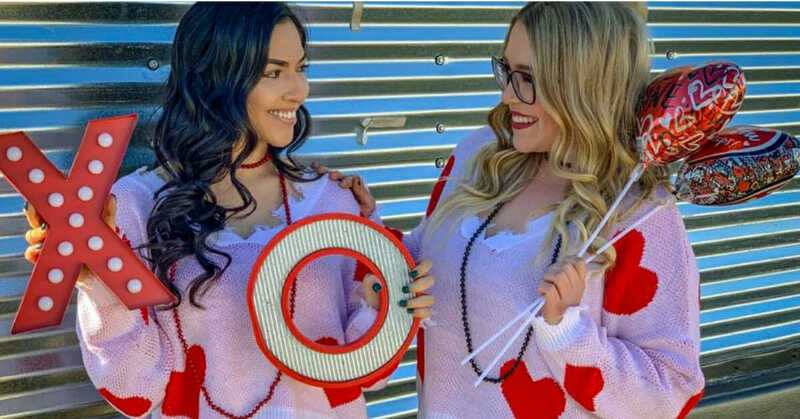 Valentine’s Day is right around the corner, so we pulled some adorable day to night outfits you’ll love! From comfy pink toned sweaters to luxurious velvet dresses, you won’t mind wearing these even after the love filled holiday passes! For the comfy and casual picks, we found some cute graphic tees with a message. And for sweaters we couldn’t help going heart eyes over the twisted back detailed top and the two toned off the shoulder top! Both would look adorable paired with some dark denim skinny jeans and a pair of leather booties. Moving on to the date night choices, we had to include the classic red cocktail dress! Because you can’t go wrong with a stunning red number on Valentine’s Day. And for those of you who want something a little different we found the perfect leopard dress. Check out all the other amazing Valentines Day inspired pieces below! Which turtleneck was your favorite?! Let us know on Facebook or Instagram!